Hatchbacks have steadily been increasing in popularity over the past few years, and with their practicality and large cargo area, it's not hard to see why. The Honda Fit is a reliable hatchback, and after a redesign for the 2018 model year, the Fit is back and better than ever. 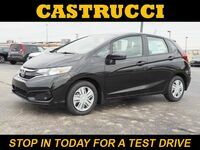 Featuring two new trim levels and a variety of upgrades, our team at Matt Castrucci Honda can't recommend the 2018 Fit enough. 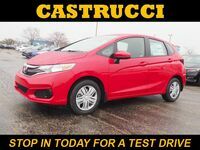 The 2018 Honda Fit comes in four trim levels: LX, Sport, EX, and EX-L. All trims come equipped with a 1.5-liter inline 4-cylinder engine, which is paired with a six-speed manual transmission for the LX, Sport, and EX trims. The EX-L trim comes equipped with a Continuously Variable Transmission with Sport Mode, which is an optional upgrade for the other trims. If performance features are at the top of your priority list, the 2018 Honda Fit definitely deserves your attention. It offers available 16-inch black alloy wheels, a tailgate spoiler, HFP side and rear badges, a sport suspension, sport pedals, and a titanium shift knob. 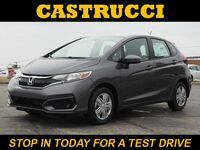 The 2018 Fit also comes with a variety of available advanced safety features, including the Collision Mitigation Braking System™, the Road Departure Mitigation System, Adaptive Cruise Control, and the Lane Keeping Assist System. Looking to stay connected while on the road? The 2018 Fit comes available with advanced technology features such as Navigation, Push Button Start, Honda LaneWatch™, Smart Entry, Apple CarPlay™, Android Auto™, and a touchscreen display. 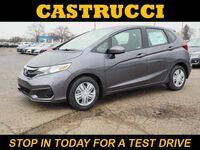 Have additional questions about the 2018 Honda Fit? 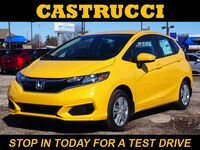 If so, please don't hesitate to contact a member of our team here at Matt Castrucci Honda! We'll fill you in on all of the important details and answer any questions you have about the vehicle. 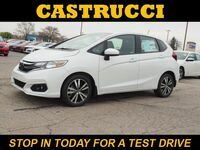 Drivers ready to see the 2018 Fit up close and in person are invited to stop in and see us at our location in Dayton or schedule an obligation-free test drive online today!